Tired of pain, if so I have Medical Orlando Massage Therapy that you are looking for. You have found a powerful blend of Neuromuscular and Myofascial therapy. My soft tissue work offers the solution for your back, neck, joint or pinched nerve conditions. Thousands of happy clients who have seen me appreciate that they are enjoying normal life routines without pain. If you are experiencing concern caused by a herniated or bulging disc in your back or neck I am known for proprietary soft tissue protocols which are very effective in resolving pain and inflammation associated with these spinal issues. My clients avoid surgery and steroid shots. They are able to eliminate the need for various prescriptions. If you have a nerve screaming for pain relief-neuralgia caused by a pinched-entrapped or compressed nerves in your back, neck, elbow, or hip call me today! 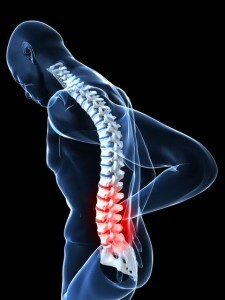 If you are enduring long term joint injuries, my specific therapeutic massage provides the answers you are looking for. I specialize in the relief of musculoskeletal injuries.